With more and more of tablet mobile phones flooding in the market at a very competing price, the problem of putting the best one in the cart is inevitable. The comparison quotient is so similar and slating that even a techno buff will end up swinging his head. Over here the competition is heating up and the companies have given their best to draw your eyeballs to their produce. On the one hand where Acer’s Iconia facsimile the shape of large novel, Apple’s iPad 2 draws the same that of a magazine. Over here, the smack down between two mobile giants, Apple and Acer have set the tablet market on heat. We’ve put these two rivals in the comparison arena to see which one comes up with flying colors and which loses the blood. So, here’s what you really need to know about the two 10 inchers. Iconia boasts pretty decent design and body make up which is quite tempting and alluring to the senses and showcases a glimpse of sheer luxury in style. The 10.1 incher has 1280 x 800 pixels resolution which is quite dense. On the other hand the legendary iPad 2 has 9.7 inches display with 1024 x 768 pixels resolution which is quite less as compared to that of Iconia that has pretty dense pixels. Certainly that means it can deliver a better display experience than Apple. There’s an aspect which can change the aspect of the competition and this is the Acer’s featured tablet is approximately 13.1 mm thicker and 130 grams heavier than that of Apple, which is quite more than what it should actually be. However, Apple’s chic design and light weight can add thorn on the Acer’s way to win the bout! Advantage: Apple takes up the first set of confrontation for its sleek chic design and comparatively light weight. Acer and Apple both are renowned computer giants in the world today so one can sense that there would be no compromise with the hardware components at all. Of course, it is possible that one might take over the other in some or the aspect but who? Let’s check out. 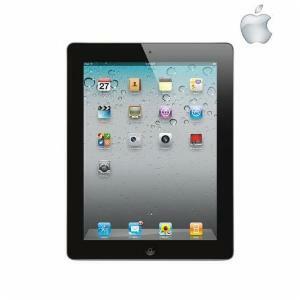 Under the hood of Apple iPad 2 there rests a powerful 1GHz A5 dual-core processor which is smartly partnered with 512MB of RAM. But on the other hand, Acer Iconia Tab A500 packs a heavier knock with its cored Nvidia Tegra 2 dual-core 1GHZ processor and 1 GB DDR2 RAM. Nowadays, tablets perform similar like that of imagers which is somehow pretty justified for the snapper quality and large screen view actually counts in this aspect. The rear portion of the Iconia flaunts amazing 5 Megapixels snapper which is coupled with 2 Megapixels front facing camera. On the basis of specifications, Acer takes an oomph trump over the Apple’s 0.7 Megapixels rear and VGA front snapper. IPad 2 is available in three denominations in terms of its memory, which offers a choice from either 16 GB, 32 GB or 64 GB respectively without any option for amplifying the memory via external flash. On the other hand, Iconia offers gigantic 32 GB built in memory with an option to amplify it to monster 32 GB via external flash support. Advantage: In all the three aforementioned categories, it’s Acer that takes the victory flag. Over the comparison can be a bit thorny as both the devices are powered by two different operating systems. On one hand where Acer’s featured tablet is powered with mighty Android 3.0 Honeycomb OS with the home screen restored for landscape screen support. Android has always been a user friendly OS in every aspect and its capacity to handle multitude application without breaking a sweat is simply amazing. The Apple on the other hand is optimized to support legendary iOS 4.3.3 and also has the latest Nitro Java Script engine in Safari that speeds up the web browsing experience and allows users to assign the side button either as an orientation lock or mute button. At the end of the day, Iconia Tab stands pretty mightier than the iPad2 in terms of its dual core performance, better camera, and large screen. 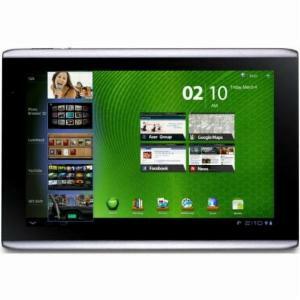 A500’s Honeycomb powered tablet, is a powerful device, it comes with a 10.1-inch screen with a better display, more internal memory, better cameras, and dual-core performance. But still somewhere iPad 2 has its own worth. It’s quite evident that Apple fans will bring home the iPad 2 even for no reason. Certainly, this is what we call as Apple’s magic! It’s hard to recommend Iconia against the wow-looking Apple in any sort. Thanks to the chic design and easy to understand user interface of the iOS which made Apple as a best chum for one and all. Piya Gogia is a well known author and has written articles onTablets Pc Price in india Laptops Price, Apple tablet and many other subjects.